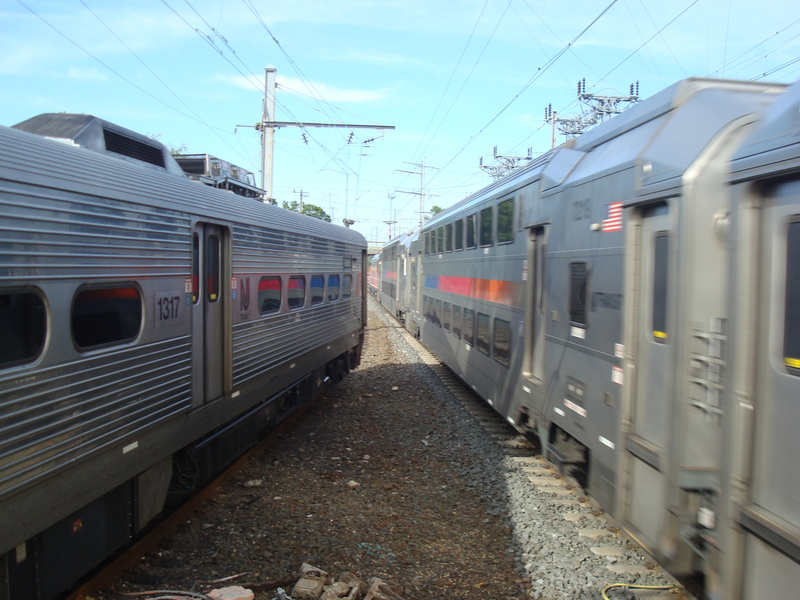 Most people in Princeton and Central Jersey would like to see better transit options. But in practice, the few transit options that we already have are not heavily used. Buses are driving around half-full, and the Dinky train is under-utilized. What kind of transit is likely to be successful? The answer is surprisingly simple, and it depends on something called “Marchetti’s Constant“. In his paper “Anthropological invariants in travel behavior“, systems analyst Cesare Marchetti observed that commuters in different countries travel, on average, the same amount per day: 30 minutes in each direction. Commute time is independent of nationality, class, or cultural beliefs. What is more, this 30-minute ‘budget’ for commuting has remained the same throughout human history. People have always spent on average 30 minutes on their commute. When new technologies have been invented that could make commutes shorter, people use them to travel a longer distance instead- up to a maximum of about 30 minutes per trip. Conversely, if people live close to where they work, they are happy to use a slower mode of transport, as long as their journey does not exceed 30 minutes. Marchetti speculated that this constant is a function of a ‘basic instinct’ of a territorial primate species. If this seems a bit far out, check out the median commute time for all US workers: 30 minutes. And the average commute time for Princeton? 27.5 minutes. Other research confirms that there is a ‘sweet spot’ for commutes, of about 30 minutes. This observation leads to some quite surprising outcomes. If somebody has a choice between driving 5 minutes to work or walking for 25 minutes, what are they likely to do? ‘Common sense’ or a Taylorist perspective might tell you that they will always drive, to save time. But Marchetti’s Constant says that they are just as likely to walk. Statistics show that walking is the primary mode of commuting for 45% of people who live in Princeton and are employed in Princeton. By the same logic, the popular idea that Princeton can somehow solve its housing needs by having people live in Trenton and commute by rail, is likely a fantasy. Not because of the widely-reported problems affecting Trenton at the present time, but because it’s just too far away to travel by transit in 30 minutes. Even if you live very close to Trenton Transit Center, you would have, say, a 7 minute walk to the train, 5 minutes to wait for the train (because you can’t be planning on running down the platform as the doors close every day), 13 minute ride to Princeton Junction, 5-minute transfer to Dinky, and 5 minute Dinky ride. That’s 35 minutes already, and that assumes the best case scenario- that the Dinky is right there ready to go when you get into Princeton Junction station. And then you have to get from the Dinky station, half-way down Alexander Street, to your workplace. Even if you work in the University, you’re looking at a minimum 45 minute commute on a good day. Some people would be fine with that. But it is unlikely to ever be a substantial number of people. We can’t force people to use transit, and encouragement or subsidies have limited effectiveness. If we want to see transit use grow, we have to plan on the basis of a 30 minute total commute time. When we get to that reality-based position, then we will be ready to make the investments in transit that are likely to be successful. Leave your comments using the box below. We welcome all comments. What journeys to Princeton could be achieved using transit within a 30-minute window? This entry was posted in Affordability, Princeton, Transit and tagged New Jersey, Princeton, Transit, Trenton. Bookmark the permalink.